"Chipotle has always been honest and transparent with its customers, and our messaging surrounding our use of non-GMO ingredients is no exception," said communications director Chris Arnold. DENVER — Chipotle Mexican Grill is fighting back against a lawsuit that contends the chain has been lying to customers about its food being GMO-free. 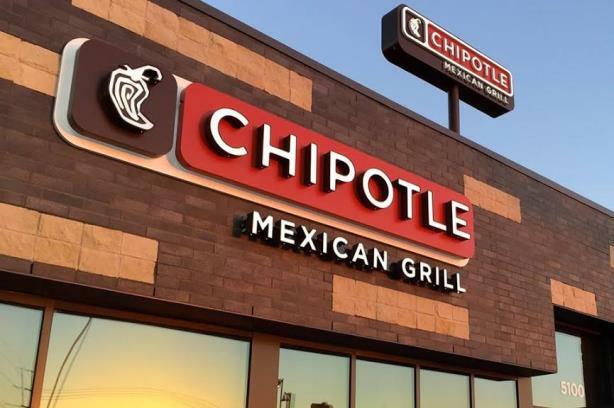 Kaplan Fox & Kilsheimer filed a federal class action lawsuit this week against Chipotle on behalf of California consumers who have bought food from the chain since April 27, when Chipotle said it would no longer serve food made with GMOs. "The lawsuit alleges that Chipotle's marketing and advertising campaign that claims its menu does not contain GMOs is actually deceptive and misleading to consumers because many of Chipotle's menu items actually do contain GMOs," the law firm said in a statement. The complaint claims that Chipotle serves meat products that come from animals that feed on GMOs, including soy and corn, that its sour cream and cheese ingredients come from dairy farms that feed animals with GMOs, and that Chipotle sells soft drinks that are made with corn syrup. Chipotle communications director Chris Arnold said that the lawsuit is "meritless," and the complaint against the chain is filled with inaccuracies. "Chipotle has always been honest and transparent with its customers, and our messaging surrounding our use of non-GMO ingredients is no exception," he said. Arnold contended that Chipotle has always been clear that its soft drinks contain GMO ingredients and that animals from which its meat originates consume GMO feed. "That does not mean that our meat is GMO, any more than people would be genetically modified if they eat GMO foods," he explained. Chipotle detailed these points in April when it said it would no longer use genetically altered ingredients, and it published a website dedicated to explaining its stance on GMOs. Kaplan Fox said on Tuesday that it looks forward to addressing the matter in court. "We stand by the allegations of the complaint that Chipotle’s advertising with respect to GMOs was false and misleading. As alleged in the complaint, Chipotle’s advertising is clearly calculated to lead the consumer to believe that all of the menu items they are purchasing are GMO-free when they not," attorney Larry King of Kaplan Fox said, via email. "We look forward to addressing these matters in court." Chipotle has not done any TV advertising about its decision on GMOs. The lawsuit also blames Chipotle for many graphics it did not create or authorize, Arnold added. The complaint cited several examples of Chipotle ads, including a billboard that read, "Now, all of our food is non-GMO." "It remains true that all of the ingredients we use to make our food are non-GMO," Arnold said. "We will vigorously [against] defend this meritless and unfair claim." The chain also began replying to customer tweets on Tuesday about its ingredients. When Chipotle said in April that it was eschewing GMOs, many media outlets reported favorably on the business decision. However, some published articles calling it a "gimmick" and "junk science." Of the negative comments in the press and by social media users, many focused on what they said is a lack of scientific data that GMOs are unhealthy. Others said it was just a ploy to attract Millennials. Can Panera catch up to Chipotle?